Though compared with his illustrious stage career Sir Ralph Richardson 's films probably meant considerably less to him, there are nevertheless some memorable highlights in a filmography spanning fifty years. After starting in an office job, he turned to the stage, making his professional debut in 1921; he played a wide range of Shakespearean roles, avoiding the romantic ones and pursuing the great character roles - Malvolio, Bottom, etc - as well as initiating modern roles, like the self-deluding protagonist of Flowering Cherry (1957-58). His film career is at once prolific and random, doing what came along for the financial rewards and perhaps "a bit of fame", the words in which he encouraged Olivier to take on Hollywood's Wuthering Heights (d. William Wyler, 1939). There is, though, something so minutely alert, so watchful and detailed about his craft that, in some ways, film seems to suit it admirably. Never handsome, he was always going to be a limited leading man in films and his 1930s films tend to the eccentric or the character lead, like "Boss" in Things to Come (d. William Cameron Menzies, 1936) and the barber in deep financial trouble in On the Night of the Fire (d. Brian Desmond Hurst, 1939). He was in the Fleet Air Arm during World War II (1939-44), making only a couple of propaganda films, including The Volunteer (d. Michael Powell, 1943, as narrator) and The Silver Fleet (d. Vernon Sewell, 1943), as a self-sacrificing Dutch patriot. Postwar, he had his ascendancy in film: as the shy boffin in School for Secrets (d. Peter Ustinov, 1946); the knuckle-cracking Karenin in the otherwise misfiring Anna Karenina (d. Julien Duvivier, 1948); the butler who becomes The Fallen Idol (d. Carol Reed, 1948), perhaps his finest screen work, full of subtle, suppressed longing and pain; the father of The Heiress (US, d. William Wyler, 1949), gifted with a merciless irony (and Oscar nominated); the humane Captain Lingard in Outcast of the Islands (d. Carol Reed, 1951); the unconsciously selfish vicar in The Holly and the Ivy (d. George More O'Ferrall, 1952) and the more consciously demanding father in The Sound Barrier (d. David Lean, 1952), for which he won a BAFTA. For one who had been slow to take films seriously, it is a cherishable gallery. In the remaining thirty years, he took what came along, including those cameo roles offered to English acting knights in their twilight years in the 1960s and 1970s, but every so often he would remind one that he had few peers and no superiors in his particular line, that he was in fact a great original. And when he got a real part, like James Tyrone in Long Day's Journey into Night (US, d. Sidney Lumet, 1962), he would make clear how consummately he had mastered the medium he had been so wary of. There was TV as well, including a valuable filmed record of him and Gielgud in Home (d. Lindsay Anderson, 1972) and he went on acting on the stage almost until his death. After the death of his first wife, he married Meriel Forbes . He was knighted in 1947. 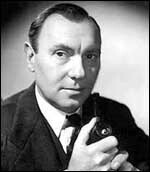 Biography: Ralph Richardson: An Actor's Life by Garry O'Connor (1985).